Linear Investments maintains there were no instances of market abuse that went undetected or unreported. 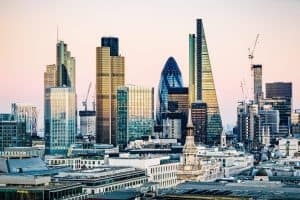 London-based prime broker Linear Investments is disputing a £409,300 fine imposed by the UK financial watchdog for alleged failures in its oversight of potential market abuse activity. Linear Investments has referred the issue to the Upper Tribunal, which will decide whether the fine recommended by the Financial Conduct Authority (FCA) should be imposed. The FCA said in a decision notice that the fine should be imposed upon Linear for failing to take reasonable care to organise and control its systems for detecting and reporting potential market abuse between January 2013 and August 2015. The prime broker became aware of the need to have its own surveillance system in November 2014 as its trading volumes increased, but it was not until August 2015 that Linear had the effective systems in place. Prior to August 2015, Linear had manual oversight of trading activity conducted through its Direct Market Access (DMA) provider. “Linear maintains that no instances of market abuse had either gone undetected or unreported but accepted that the manual oversight system Linear had operated was insufficient for the volume of trading,” the prime broker said in response to the FCA’s decision notice. The FCA explained that this is the first case to be completed under a new process introduced for contested cases, which allows firms under investigation to agree to certain elements of the case and contest others. Firms are still eligible for a 30% discount on imposed penalties, meaning Linear’s fine would have been £584,700 had it not agreed facts and liability laid out by the UK financial regulator. “Tackling market abuse is a priority for the FCA and firms are expected to play their part by ensuring that they are able at all times to identify and manage the market abuse risks to which they are exposed,” the FCA concluded.